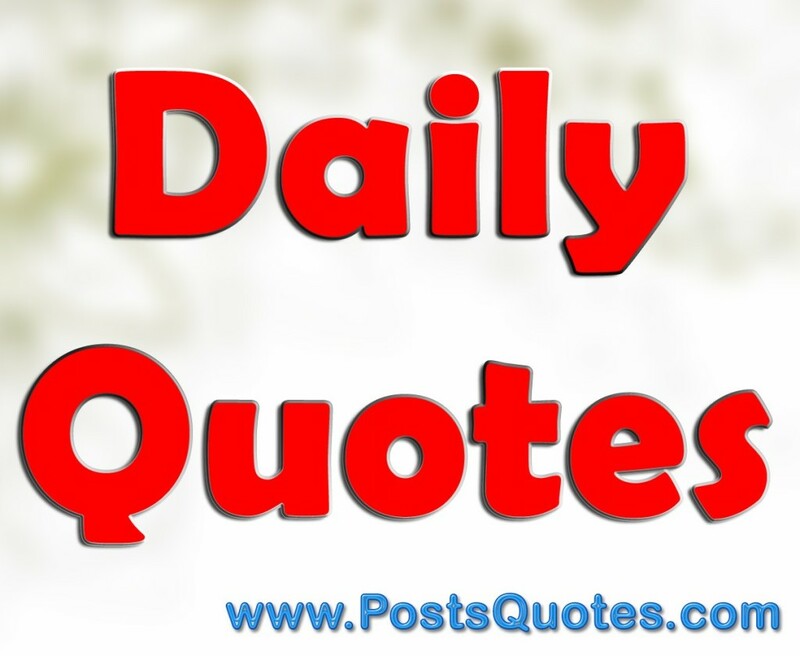 Daily Quotes new every day we offer excellent quotes; quotations appeared to help your day better and new thinking, Start your day happy because happiness is a decision within you, try to start each day by reading the new daily quotes in posts quotes. 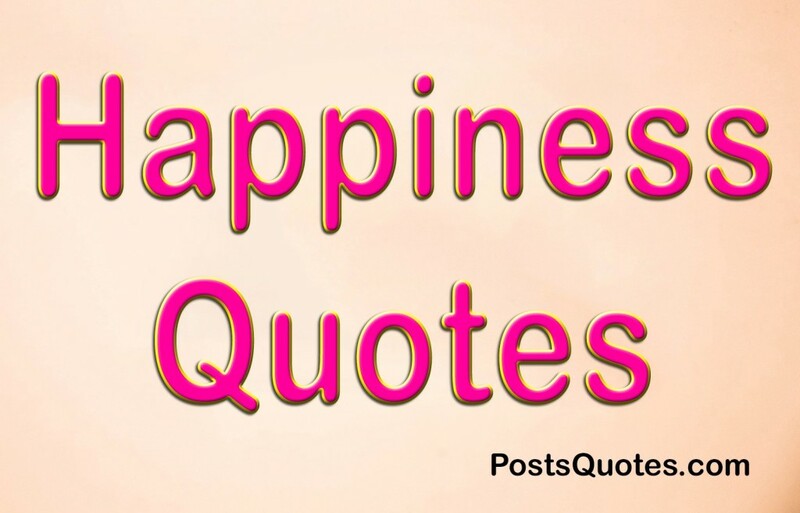 The true happiness is when you start to enjoy the little things in life. 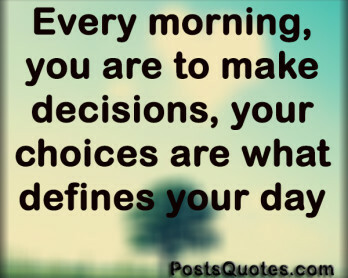 A happy day is when you did what you like to do. 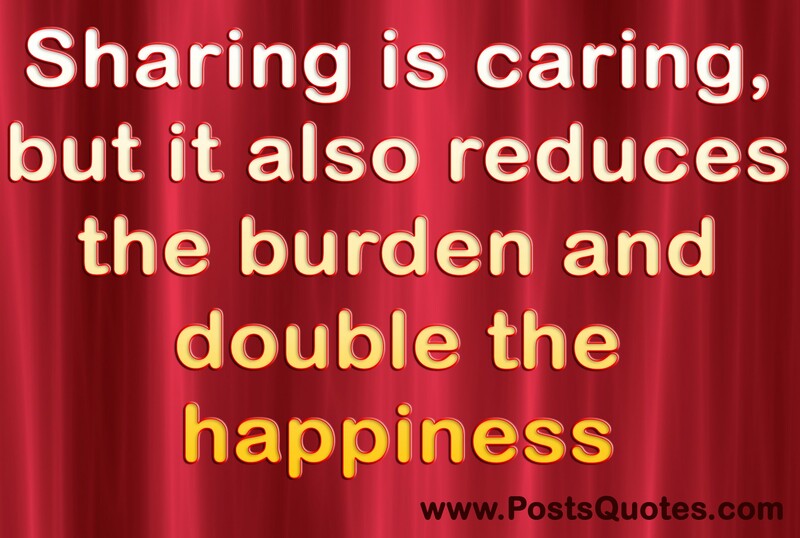 Sharing is caring, but it also reduces the burden and double the happiness. 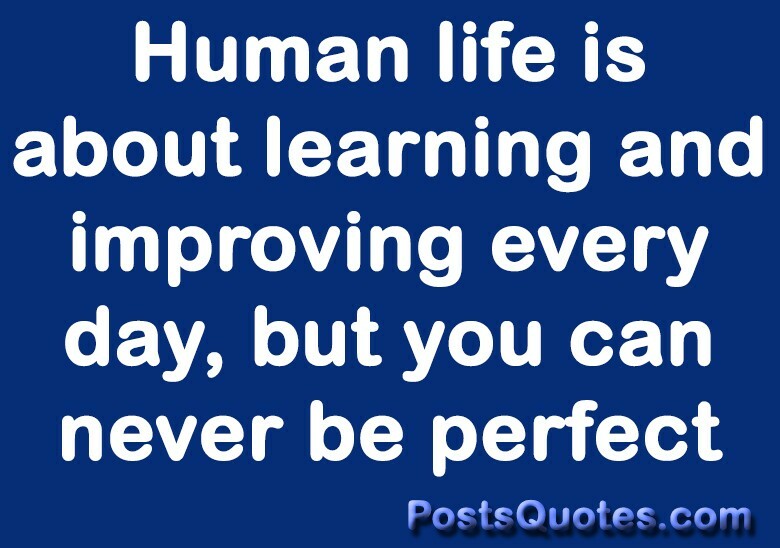 Human life is about learning and improving every day, but you can never be perfect. 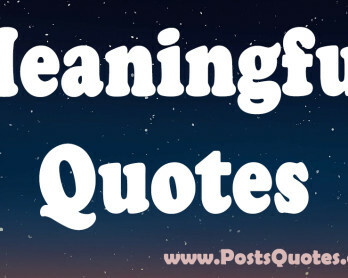 Prayer is not only about asking, but it’s also about being grateful for all the things in your life. 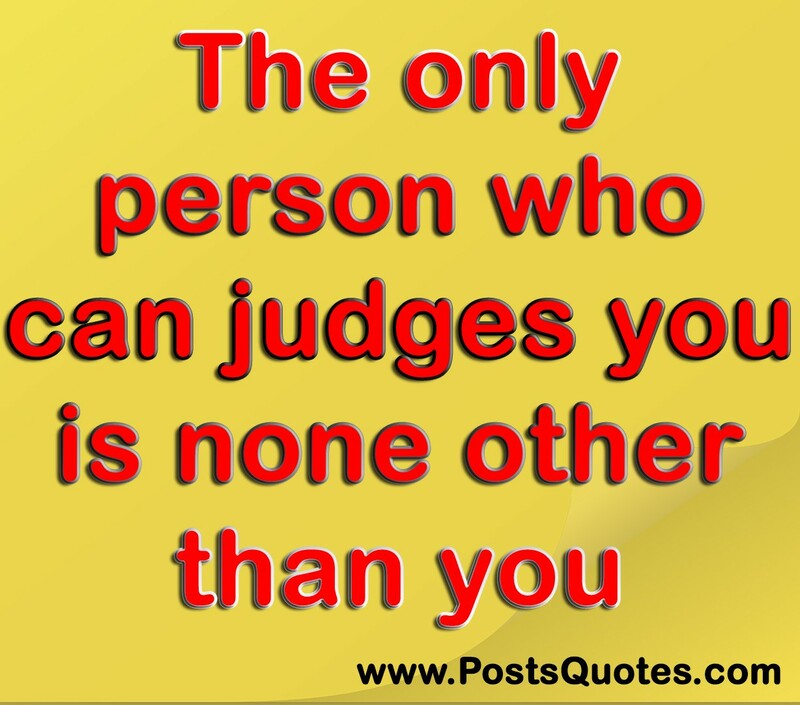 The only person who can judges you is none other than you. 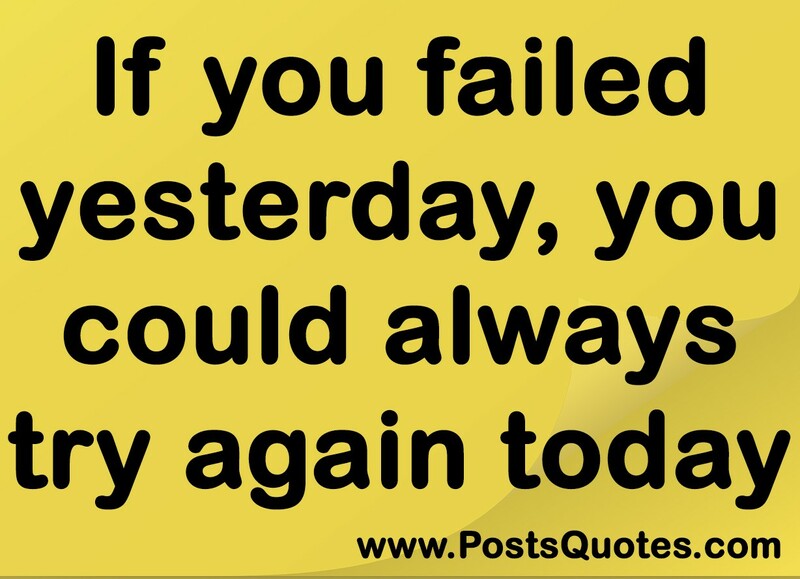 If you failed yesterday, you could always try again today. 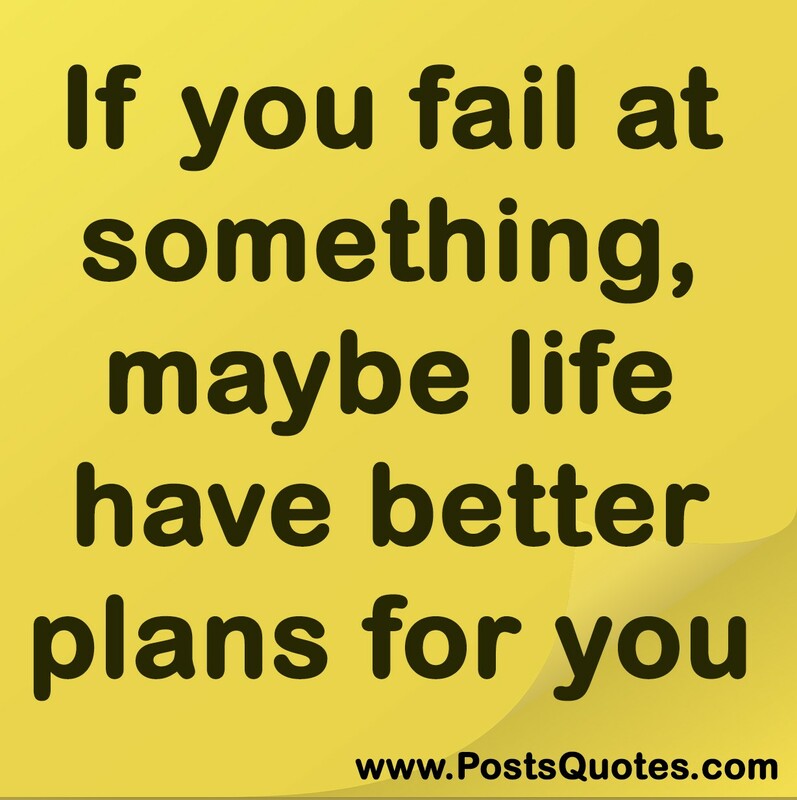 If you fail at something, maybe life have better plans for you. 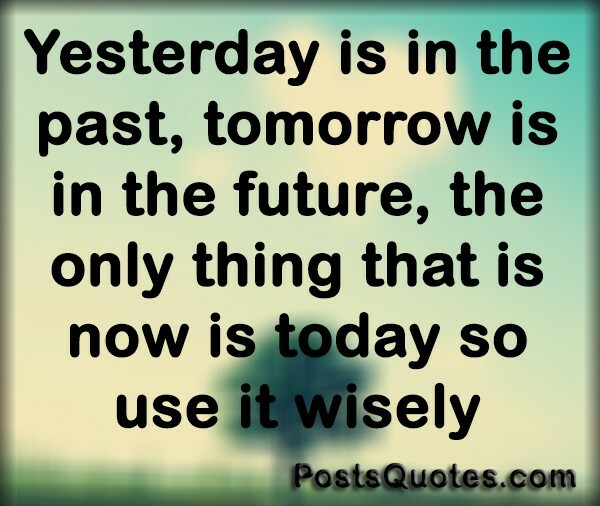 Yesterday is in the past, tomorrow is in the future, the only thing that is now is today so use it wisely. 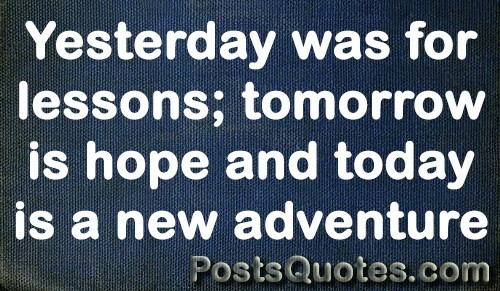 Yesterday was for lessons; tomorrow is hope and today is a new adventure. 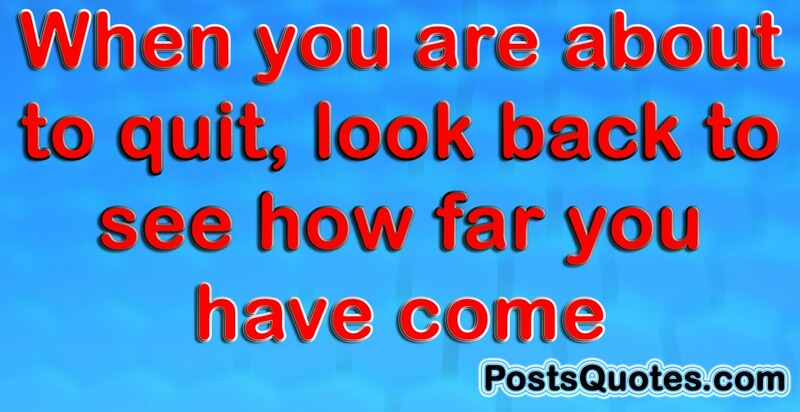 When you are about to quit, look back to see how far you have come. 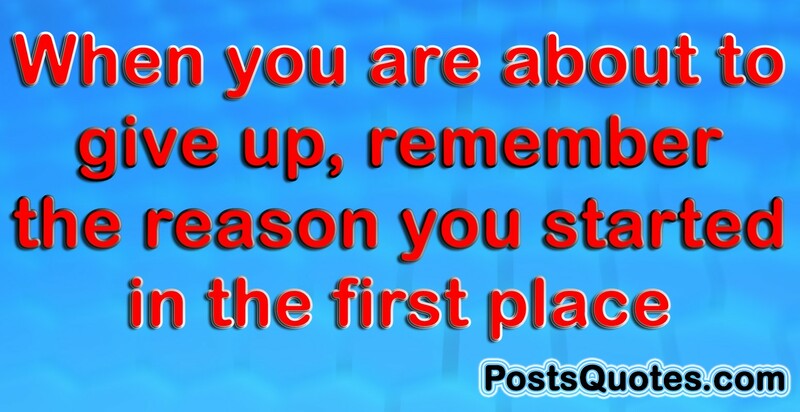 When you are about to give up, remember the reason you started in the first place. 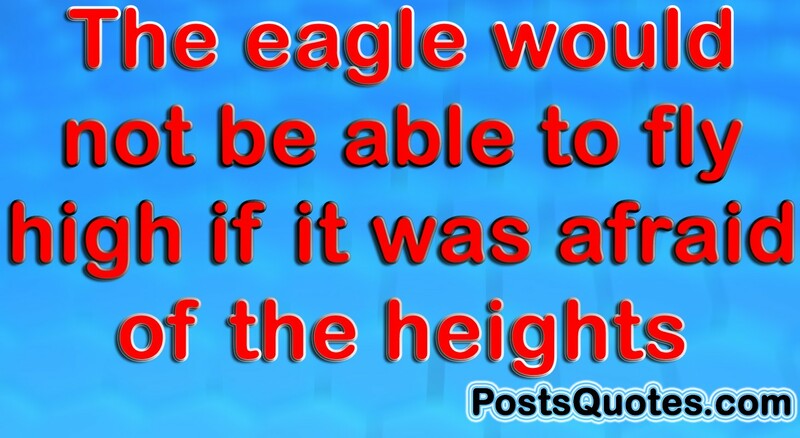 The eagle would not be able to fly high if it was afraid of the heights. 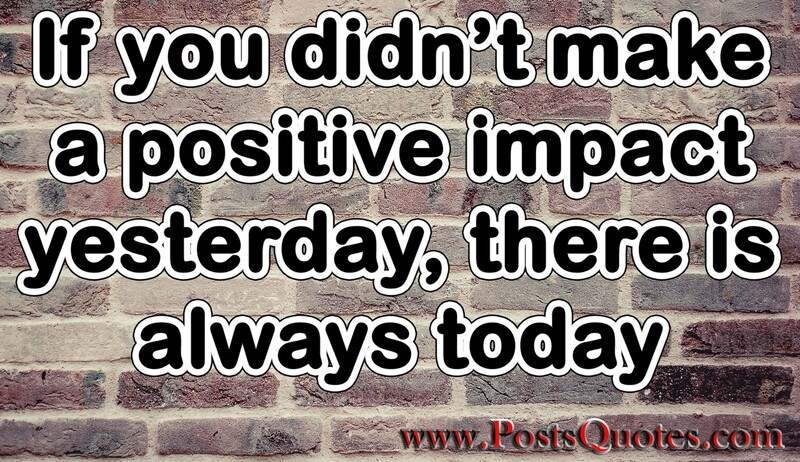 If you didn’t make a positive impact yesterday, there is always today. 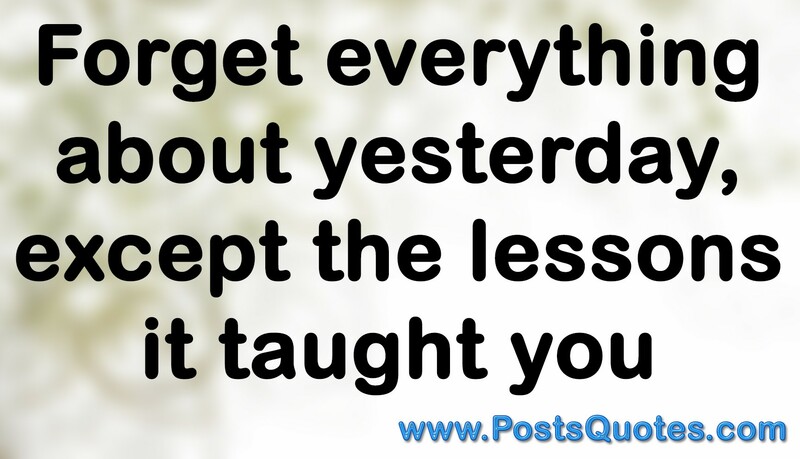 Forget everything about yesterday, except the lessons it taught you. 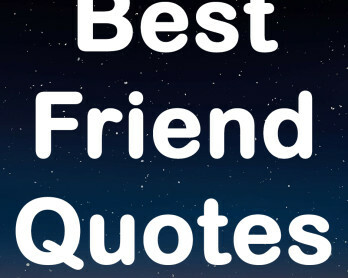 You are wonderful, nobody has to tell you that. 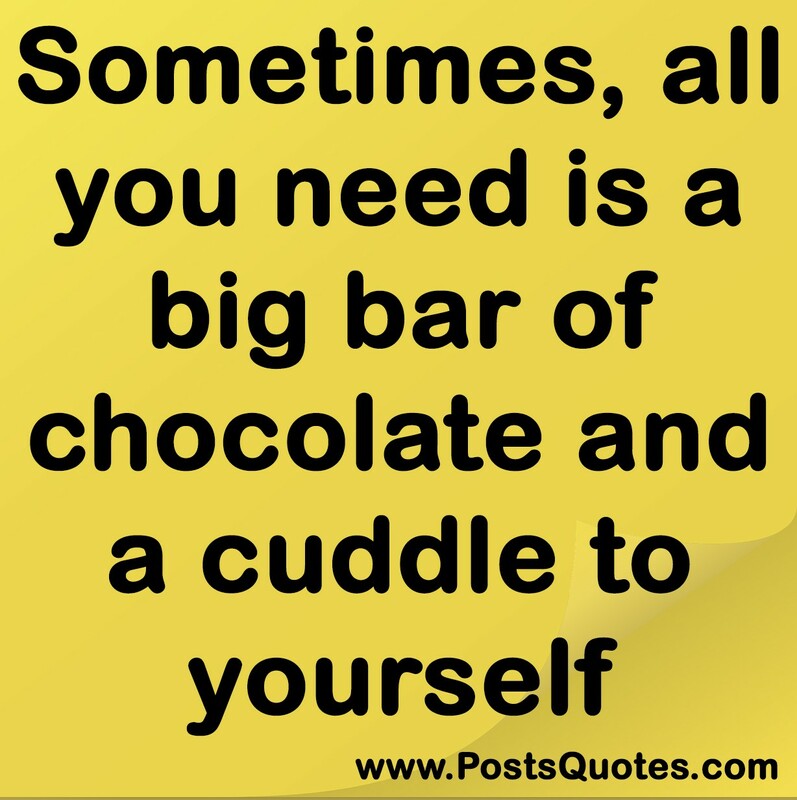 When life’s all fuzzy, hit the refresh button. 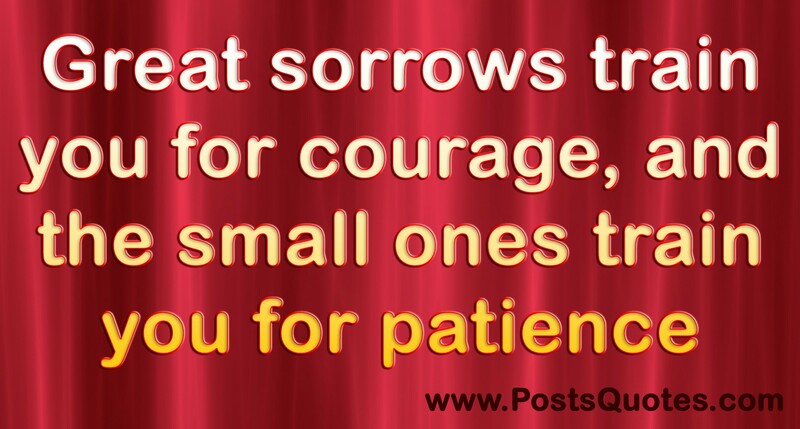 Great sorrows train you for courage, and the small ones train you for patience. 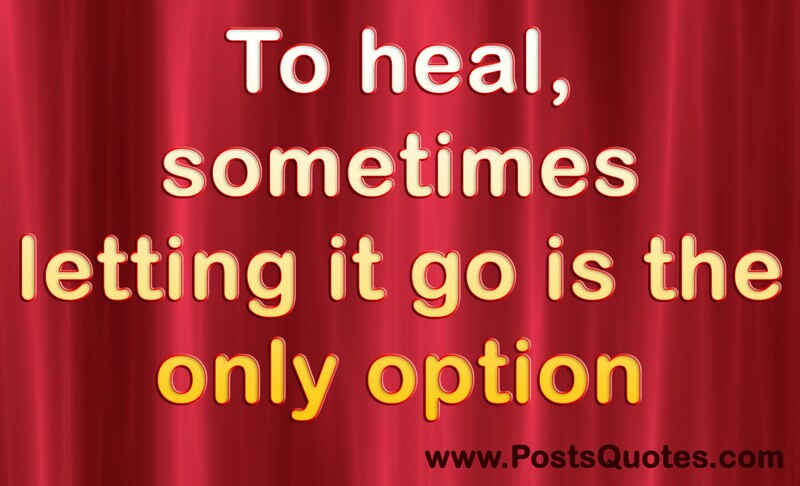 To heal, sometimes letting it go is the only option. 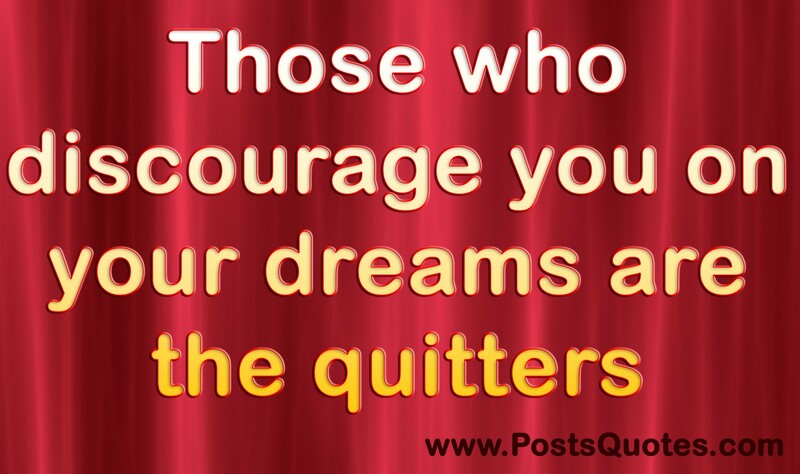 Those who discourage you on your dreams are the quitters. 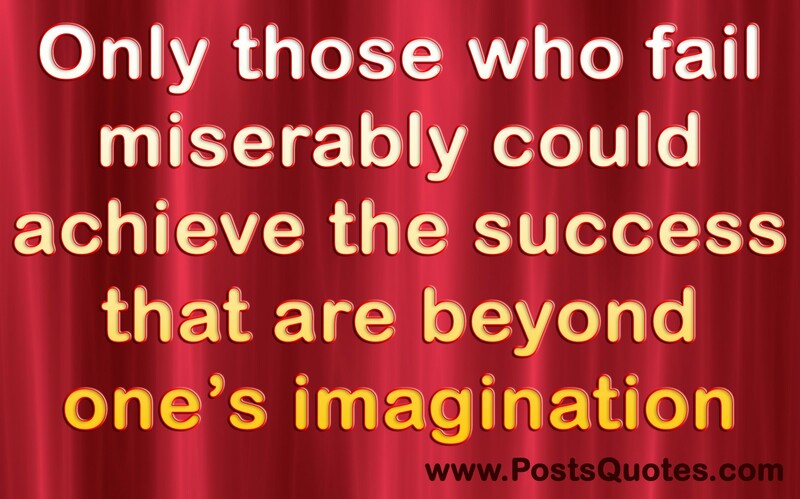 Only those who fail miserably could achieve the success that are beyond one’s imagination. 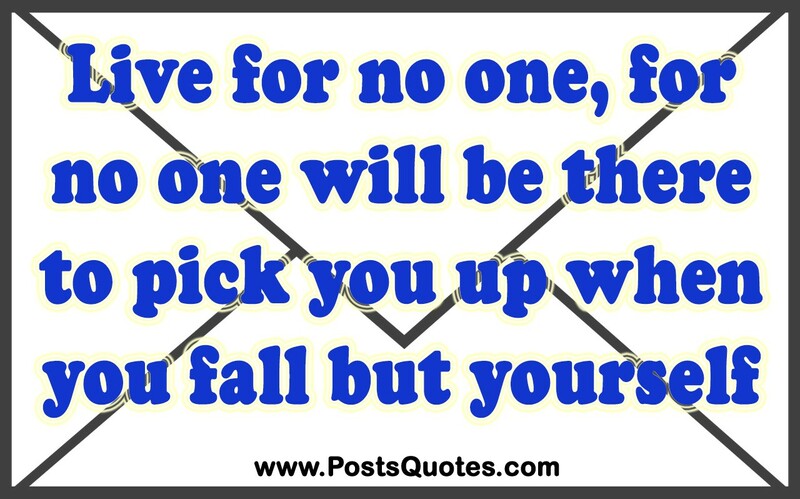 Live for no one, for no one will be there to pick you up when you fall but yourself. 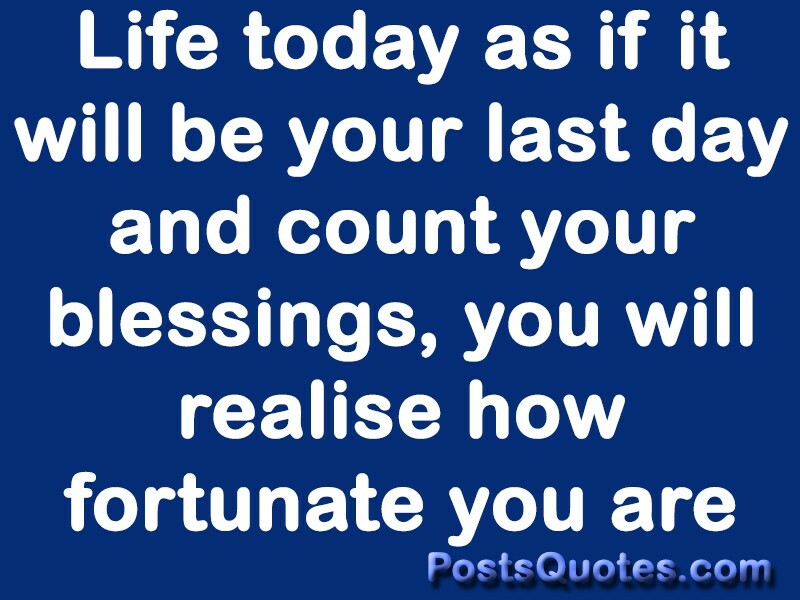 Life today as if it will be your last day and count your blessings, you will realise how fortunate you are. 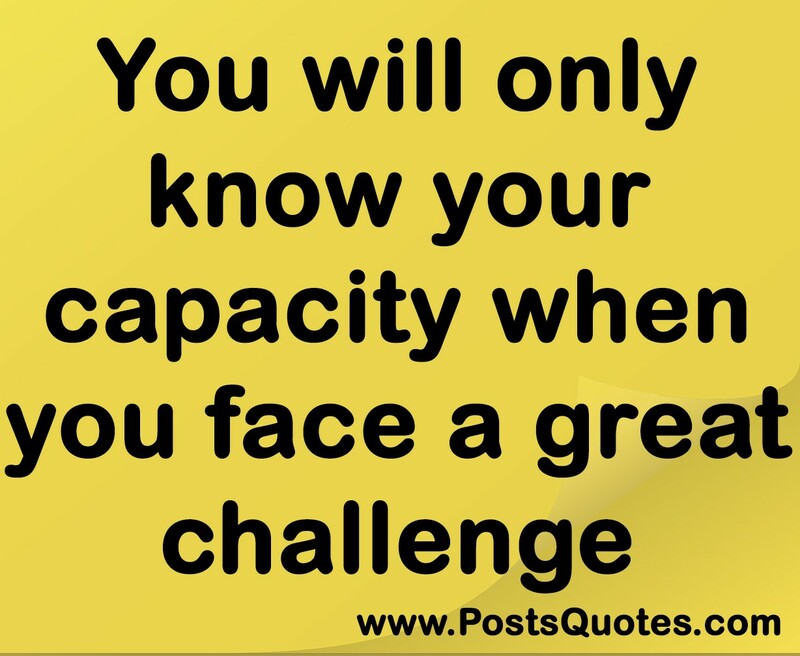 You will only know your capacity when you face a great challenge. 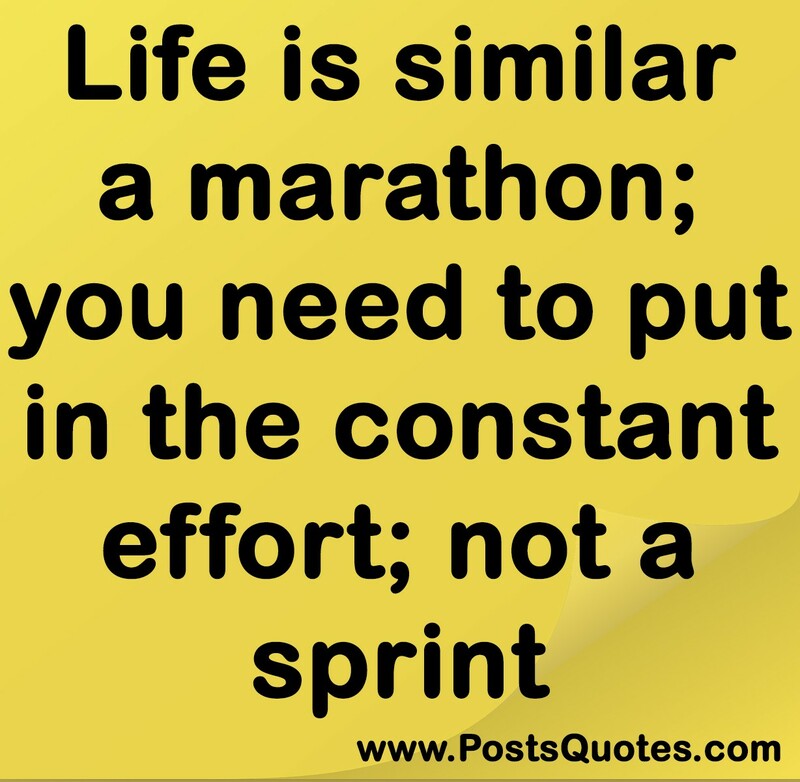 Life is similar a marathon; you need to put in the constant effort; not a sprint. 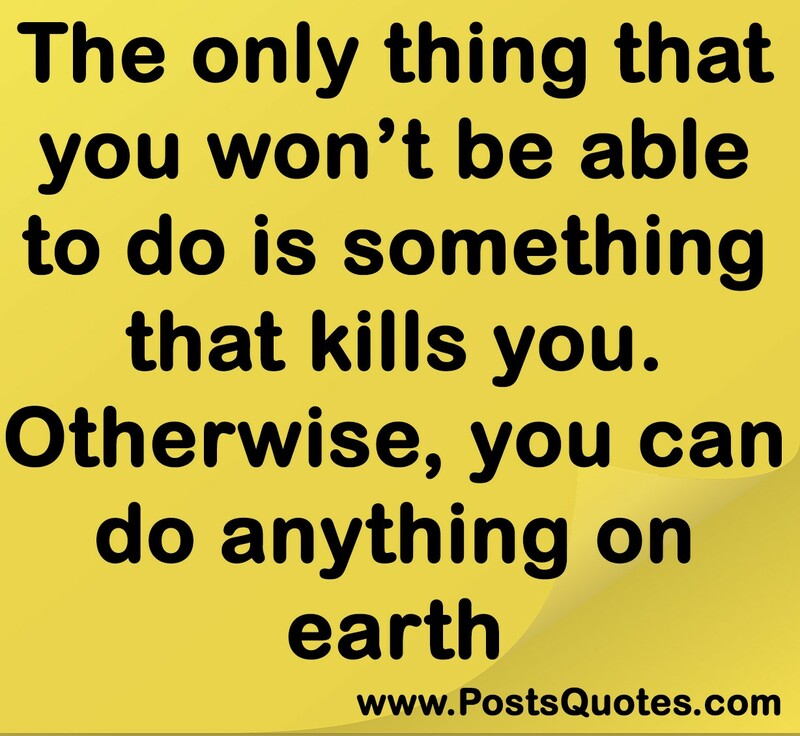 The only thing that you won’t be able to do is something that kills you. 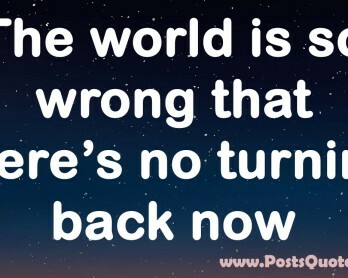 Otherwise, you can do anything on earth. 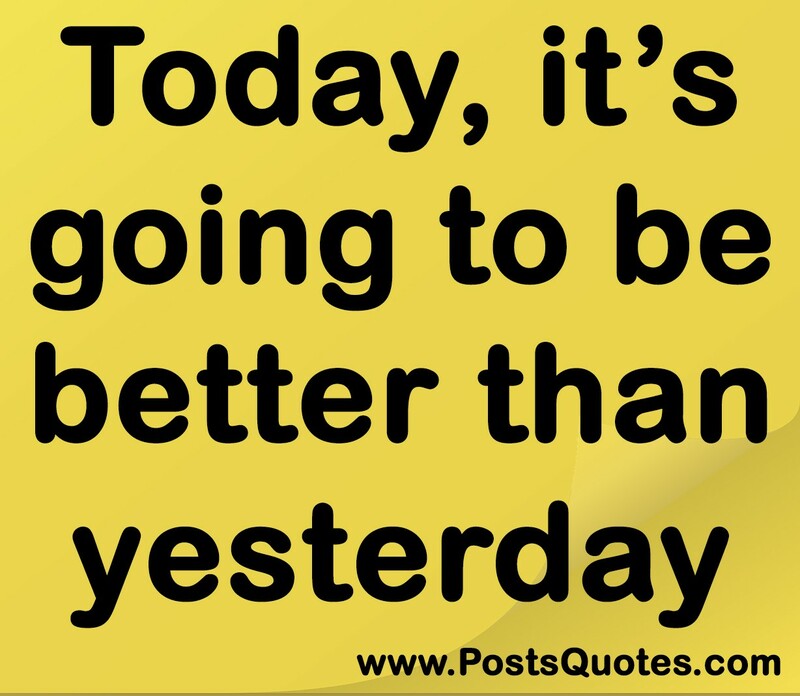 Today, it’s going to be better than yesterday. 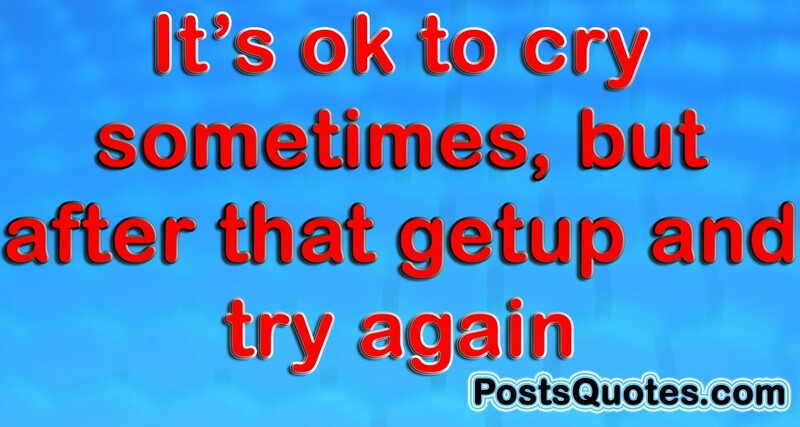 It’s ok to cry sometimes, but after that getup and try again. 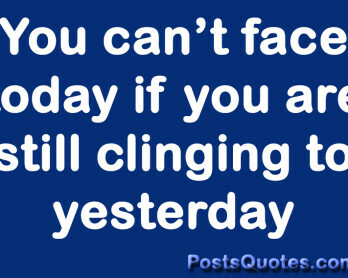 Today is a new start, use it well so that you won’t regret tomorrow. 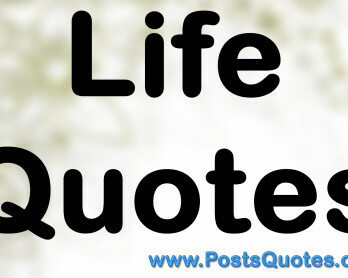 It takes few seconds to hurt someone, and forever to heal the wound caused. 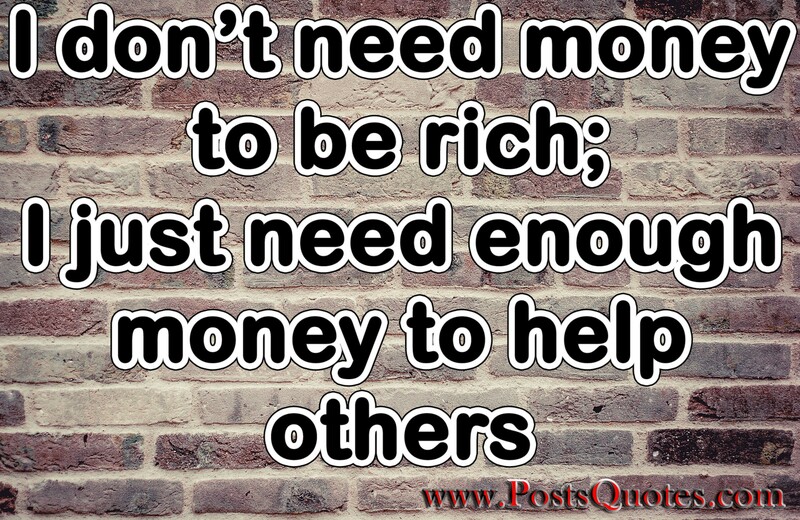 I don’t need money to be rich; I just need enough money to help others. 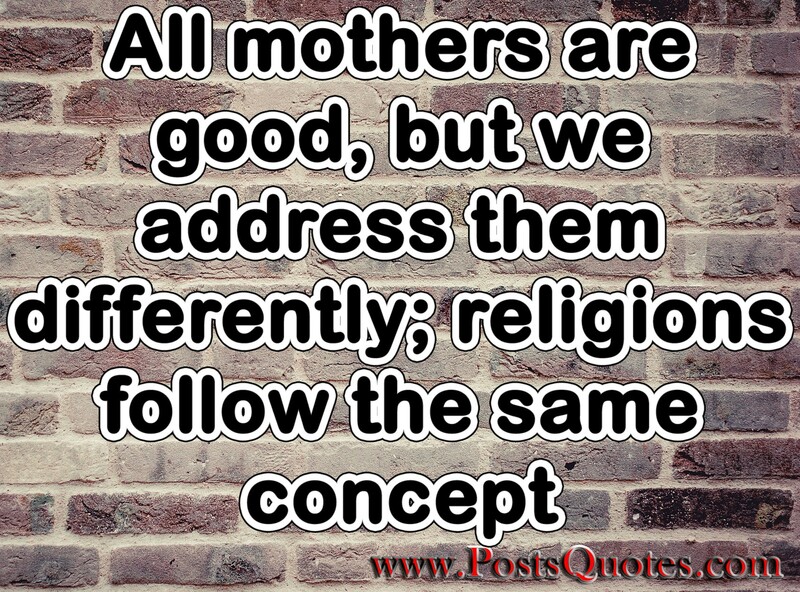 All mothers are good, but we address them differently; religions follow the same concept. 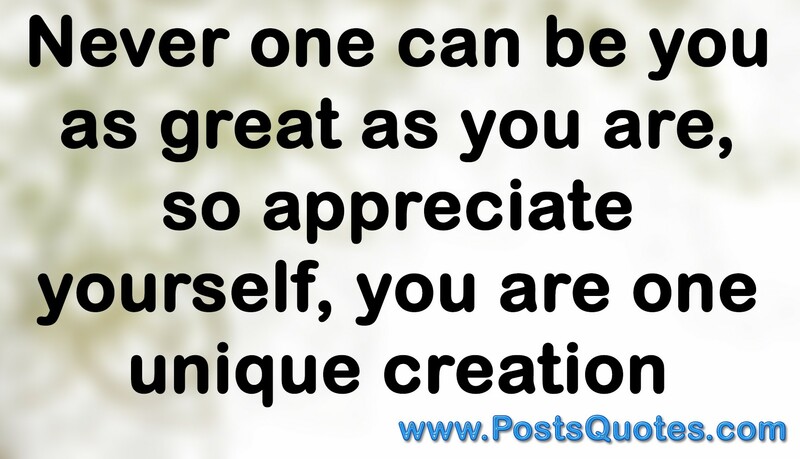 Never one can be you as great as you are, so appreciate yourself, you are one unique creation. 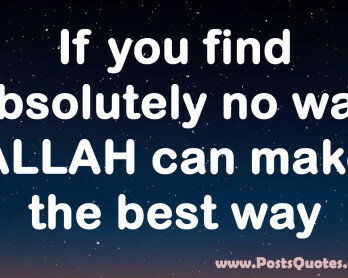 The first step to success is believing you can. 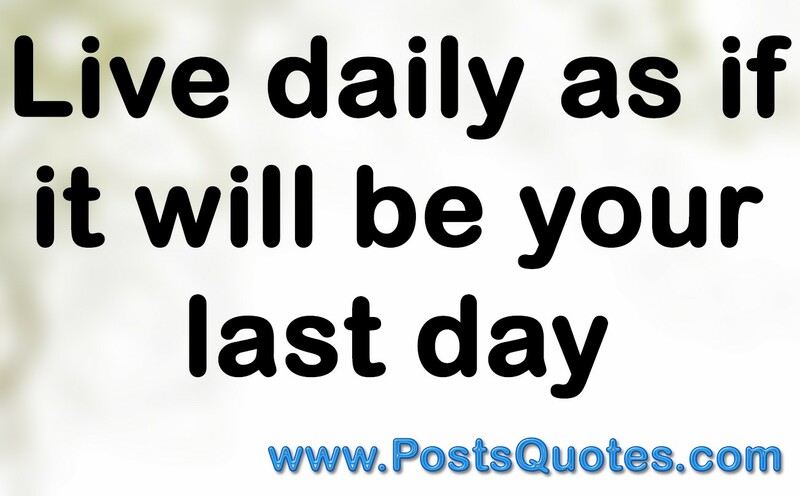 Live daily as if it will be your last day. 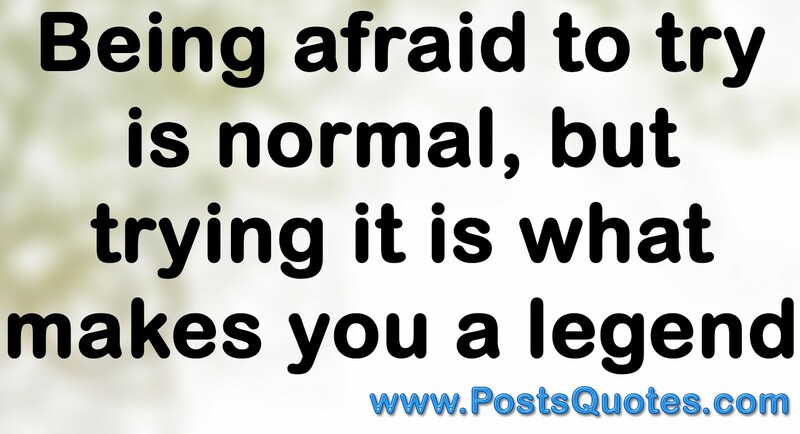 Being afraid to try is normal, but trying it is what makes you a legend. 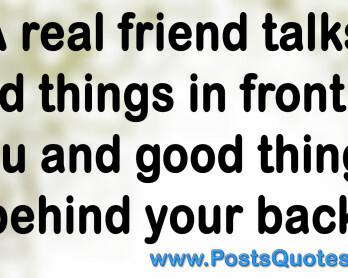 The proud moment when you achieve something that other’s discouraged you on. 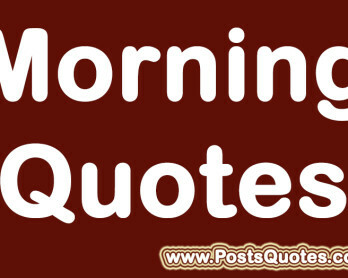 Everybody have hurt someone someday, no one is perfect, so forgive and forget. 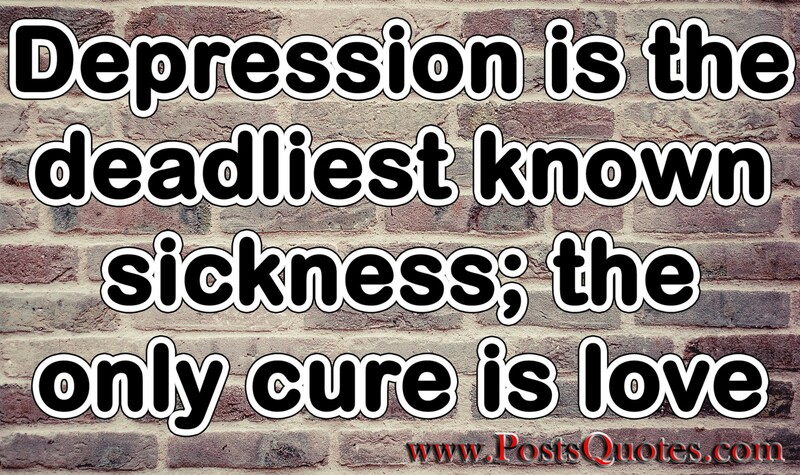 Depression is the deadliest known sickness; the only cure is love. 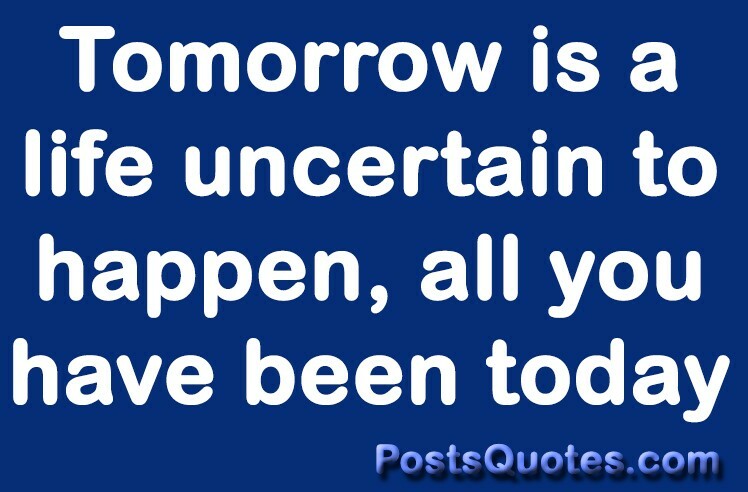 Tomorrow is a life uncertain to happen, all you have been today. 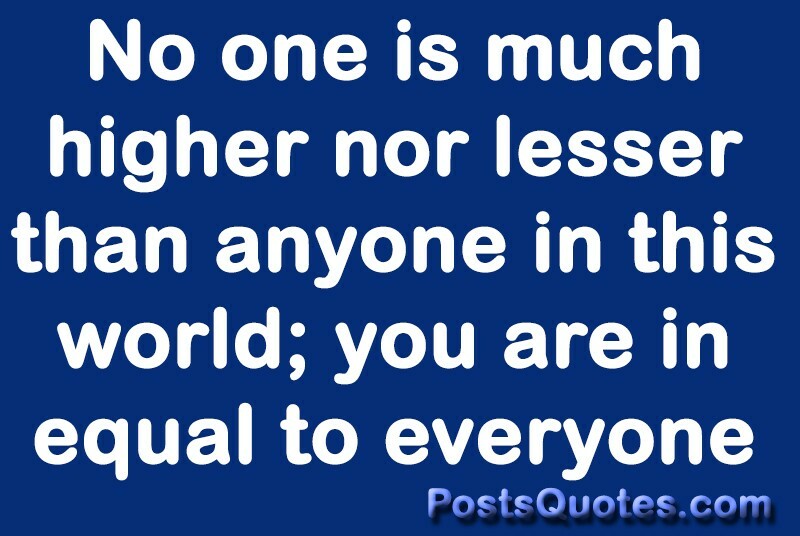 No one is much higher nor lesser than anyone in this world; you are in equal to everyone. 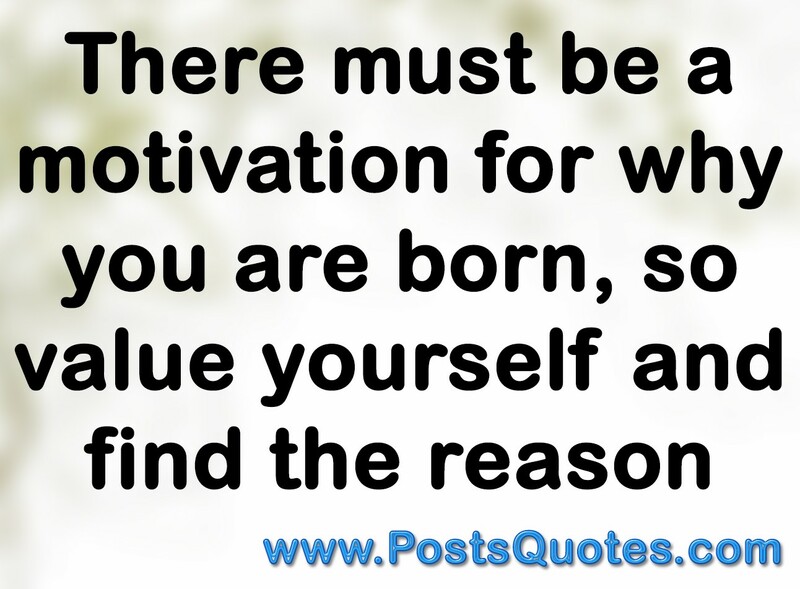 There must be a motivation for why you are born, so value yourself and find the reason. 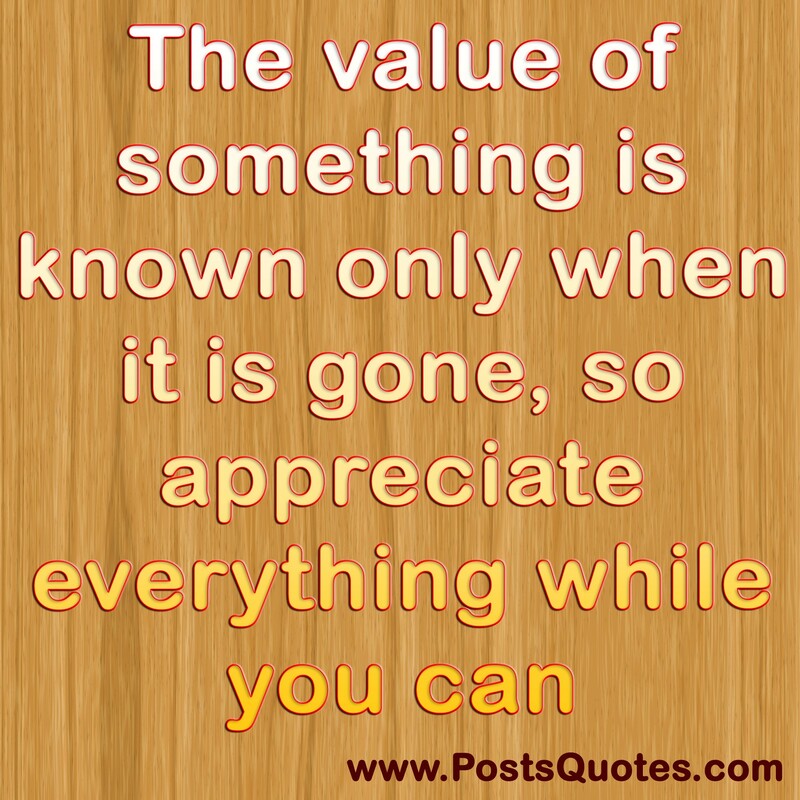 The value of something is known only when it is gone, so appreciate everything while you can. 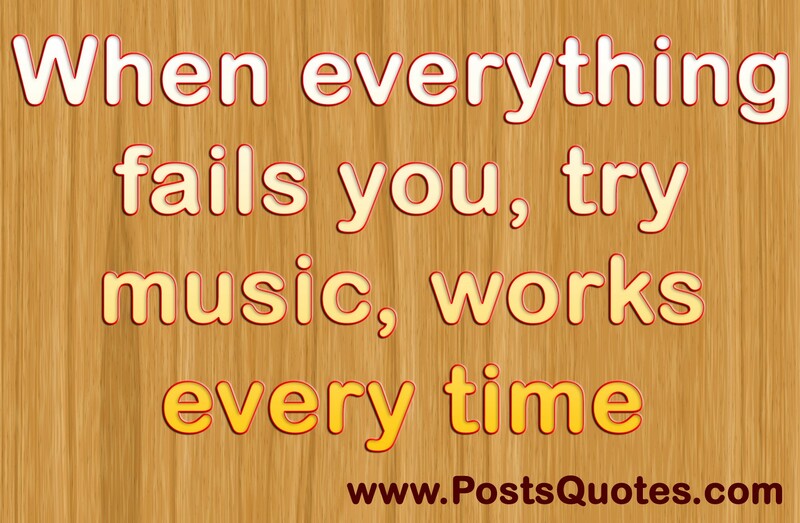 When everything fails you, try music, works every time. 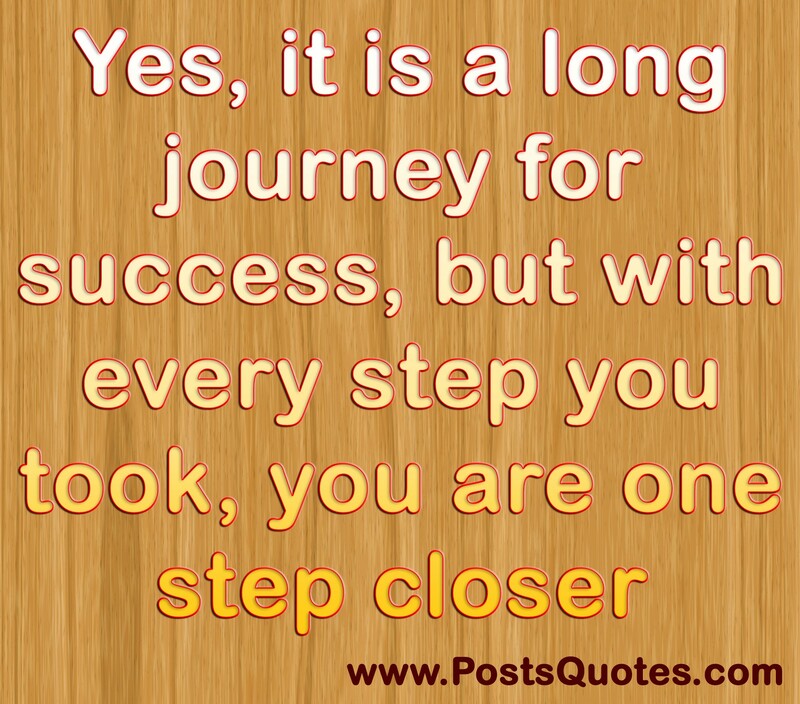 Yes, it is a long journey for success, but with every step you took, you are one step closer. 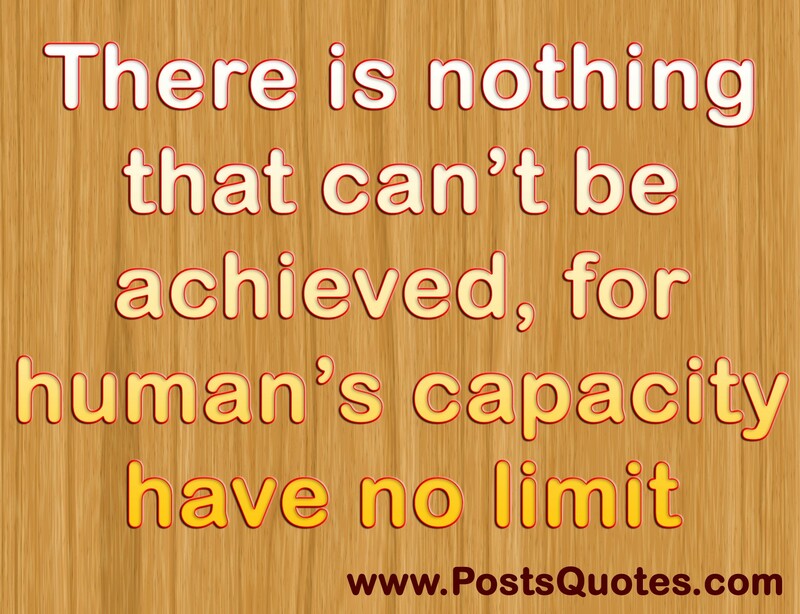 There is nothing that can’t be achieved, for human’s capacity have no limit. 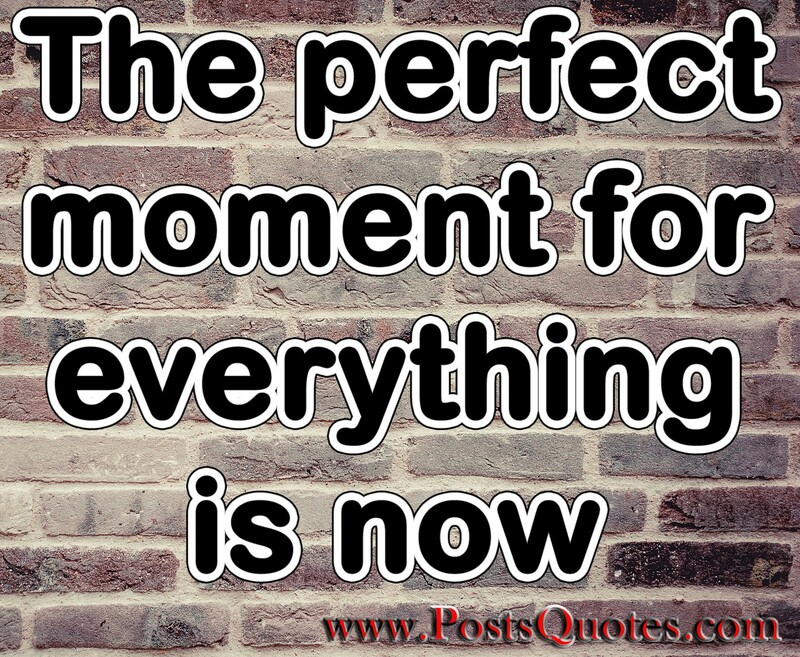 The perfect moment for everything is now. 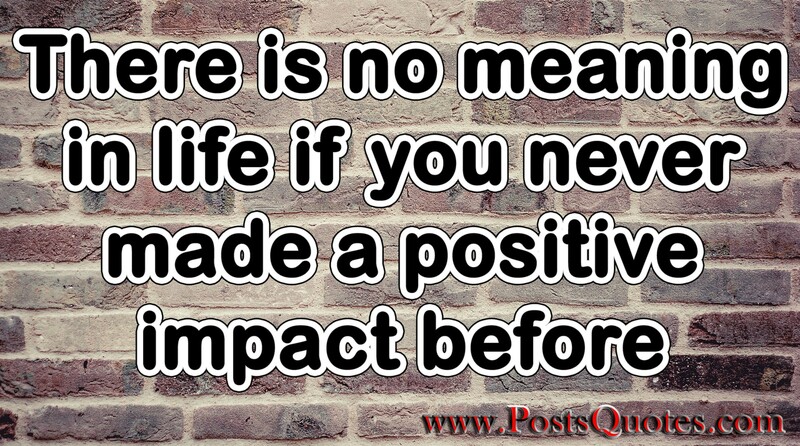 There is no meaning in life if you never made a positive impact before. 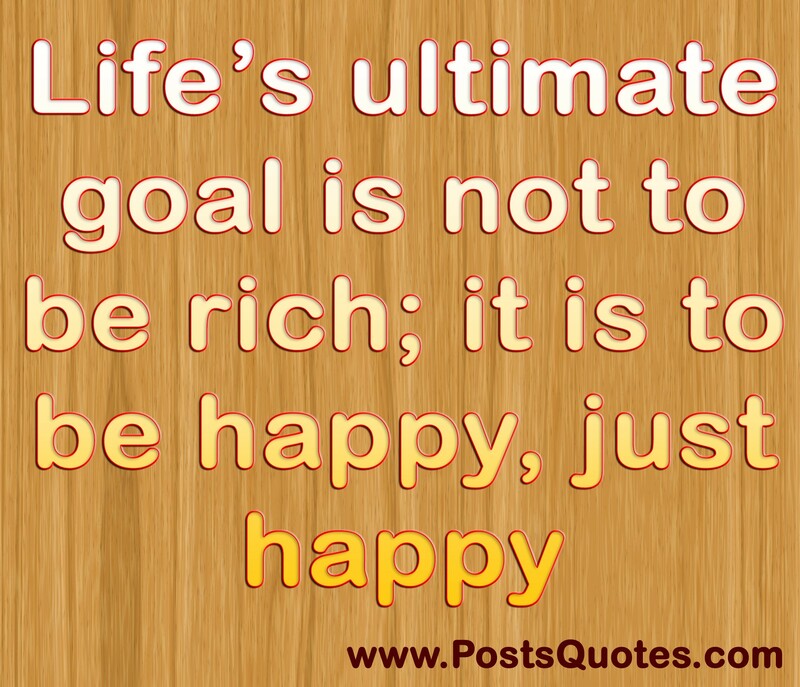 Life’s ultimate goal is not to be rich; it is to be happy, just happy.